Dent of London Victorian Gothic Bracket Late Victorian - Height 30.3in. 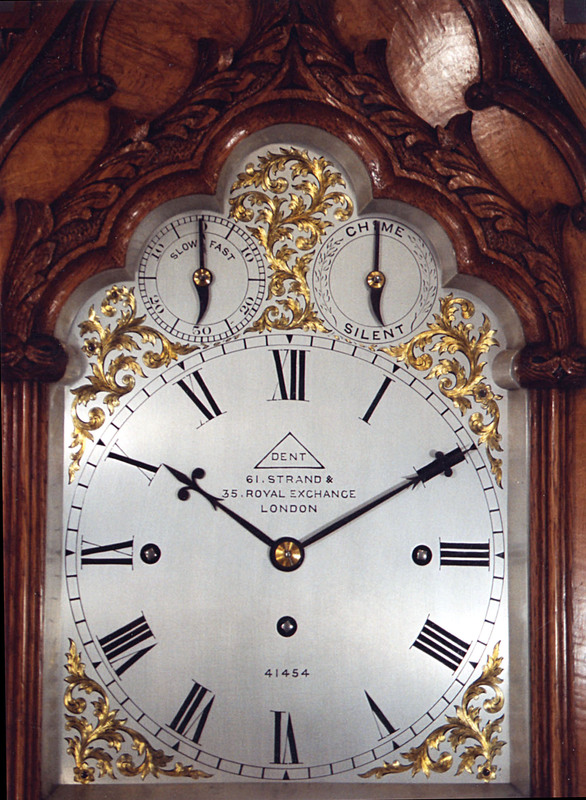 This Other clocks and instruments Archive's Maker - Dent of 61, Strand & 35, Royal Exchange, London. Dent's made the world famous clock for the Houses of Parliament the hour bell of which is known as "Big Ben". 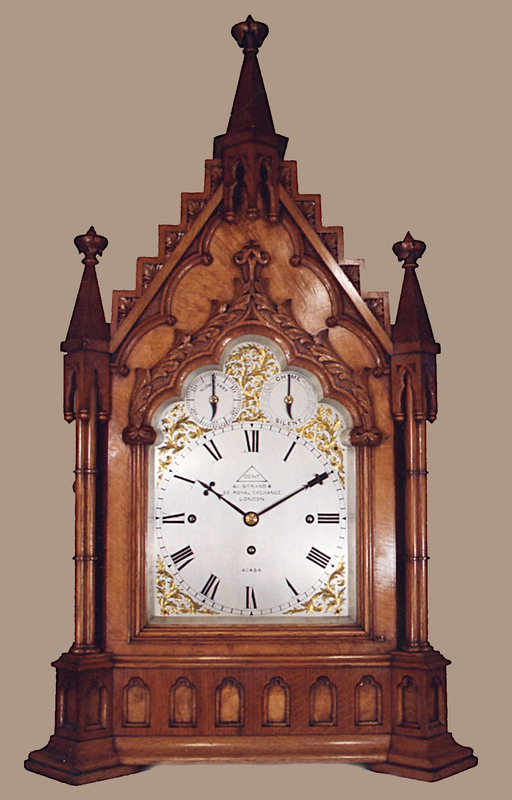 Typical late 19C Victorian Gothic style pale walnut and blonde oak with superb carved details. Pierced and fretted "silk" backed side frets and rear door. High quality Victorian craftsmanship and attention to detail. 8" wide engraved and silvered trefoil dial with slow/fast and chime/silent subsidiary dials. Signed "DENT" in a triangle and "61,Strand & 35, Royal Exchange London", below. Also engraved serial number 41454. Fleur-de-lys style steel hands. Beautifully made triple fusee quarter chiming on eight bells plus hour strike on a deep toned coiled steel gong. Precision Victorian clockmaking at it's finest. Dent of 61, Strand & 35, Royal Exchange, London. 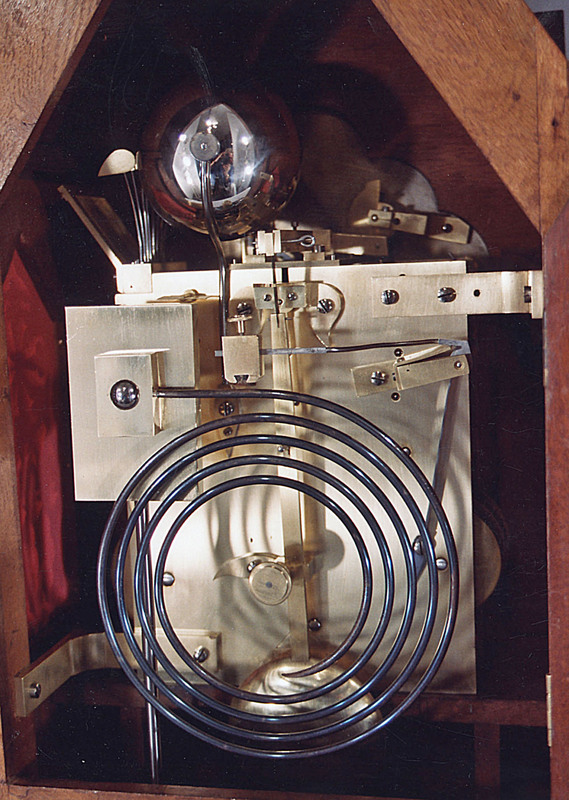 Dent's made the world famous clock for the Houses of Parliament the hour bell of which is known as "Big Ben". Late Victorian. ( The Dent serial numbering system is a nightmare ). 30.3" ( 77 cms. ).